The answer was a simple sump pump; with the stock tank pool, I’d essentially be creating a basement it could never pump out, right? I thought I had one around, but I was mistaken. Off to the hardware store. 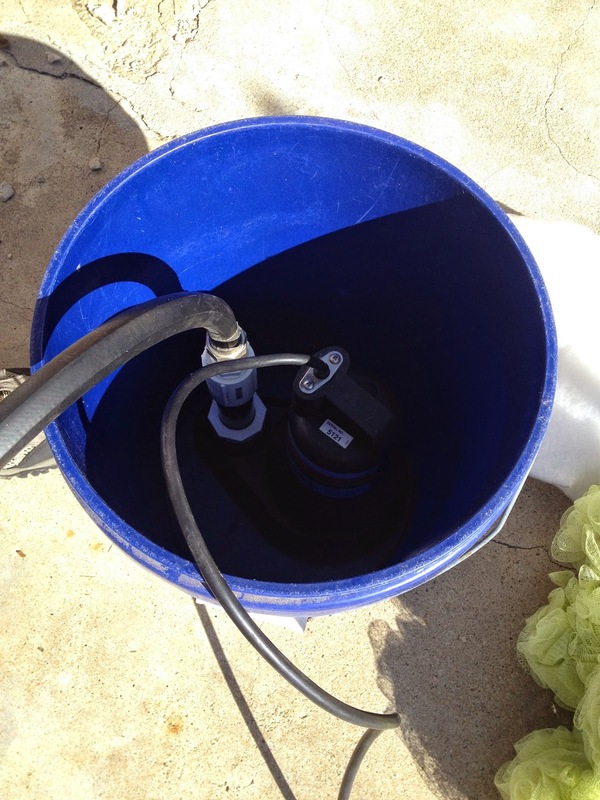 I picked up the 3/10 horsepower submersible pump at the hardware store, expensive (at least for my projects) but a good deal compared to most pool pumps. I chose this one because it had the highest discharge height among the models they had on the shelf — it claimed it could pump more than 2,000 gallons per hour up 5 feet, which sounded plenty strong for the journey through a few hoses and a solar panel. For safety, I’d be plugging it into a GFCI receptacle, because hey, water and electricity. 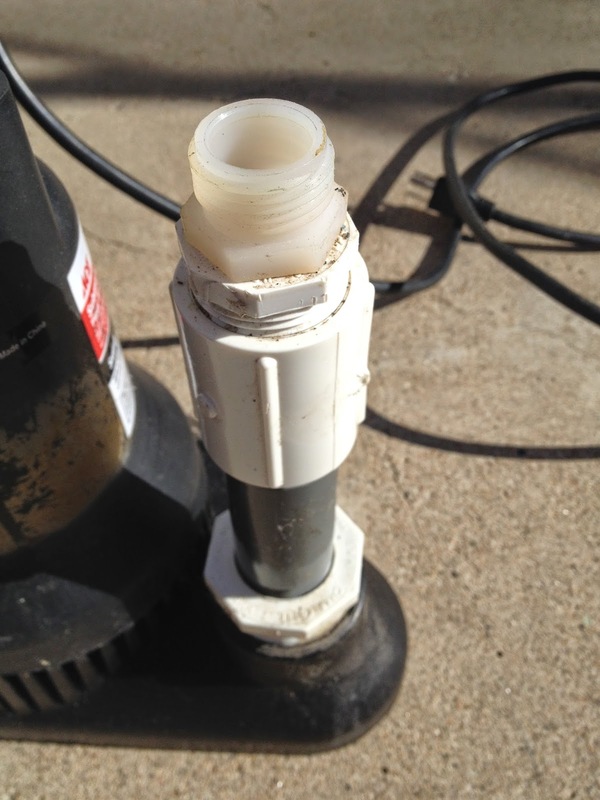 It wasn’t designed to attach to a regular garden hose, so the guys at the hardware store and I figured out just the right combination of cheap plastic fittings to get down to a standard hose thread. After they heard what I was up to, actually, a bunch of them got together to help me work it out. It was kind of fun, watching them toss aside more expensive fittings per my “as cheap as possible” mandate (for the record, hardware store guys seem to love the same sorts of mad projects I do). Eventually I had my adaptor ready. Next I needed to protect my pump. 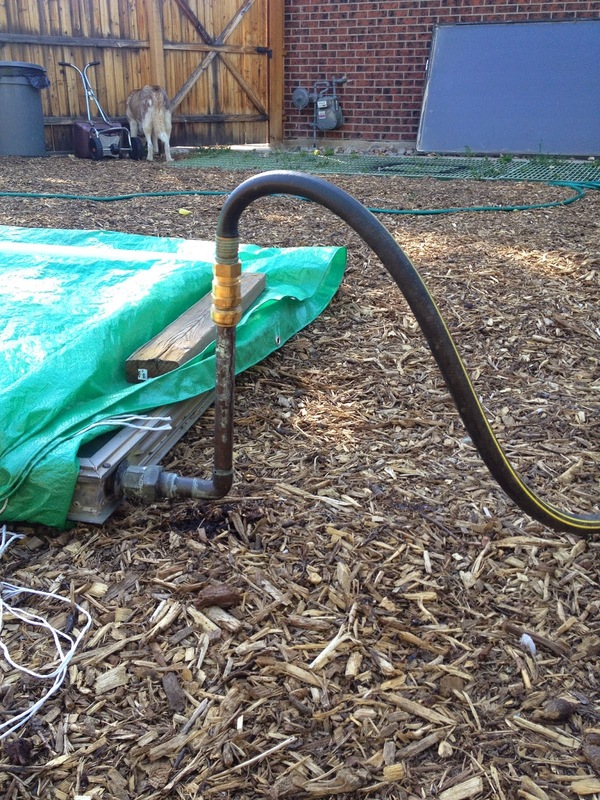 In this case I drew inspiration from some guys I’d seen online building pond filters for next to nothing. 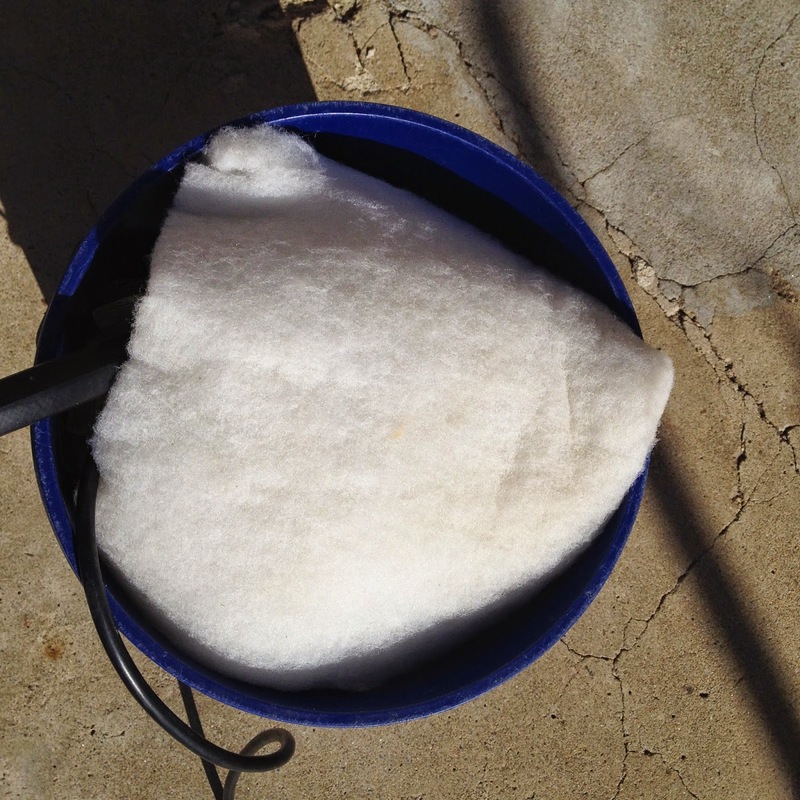 I bought a 5-gallon bucket, a bunch of 50-cent plastic shower scrubbies, and some pillow batting to make a filter, of sorts. 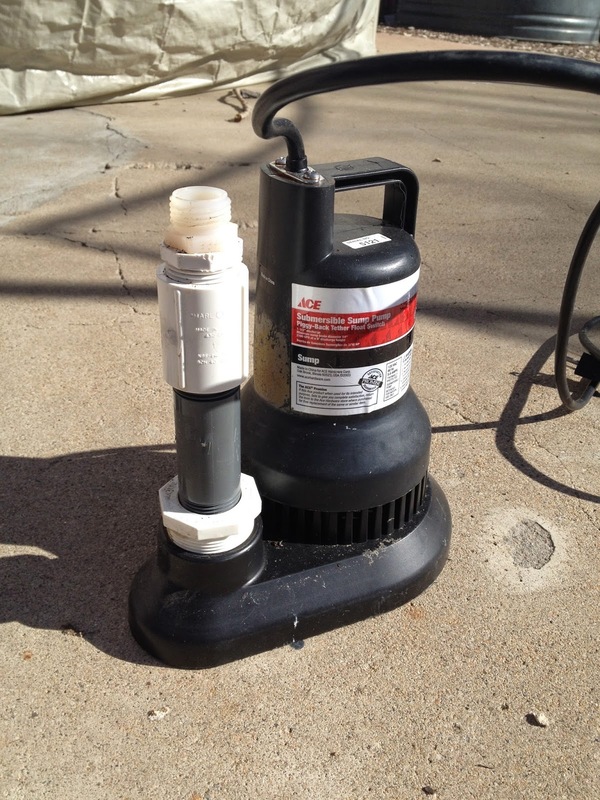 I put a flat rock in the bottom of the bucket, and put the sump pump on top of that. 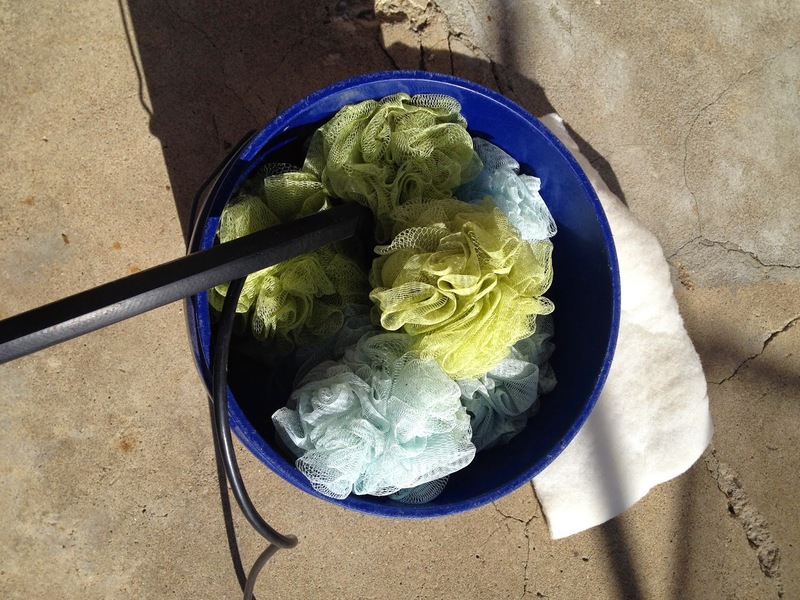 Then I stuffed the plastic scrubbies all around the pump, and topped it off with the pillow batting. 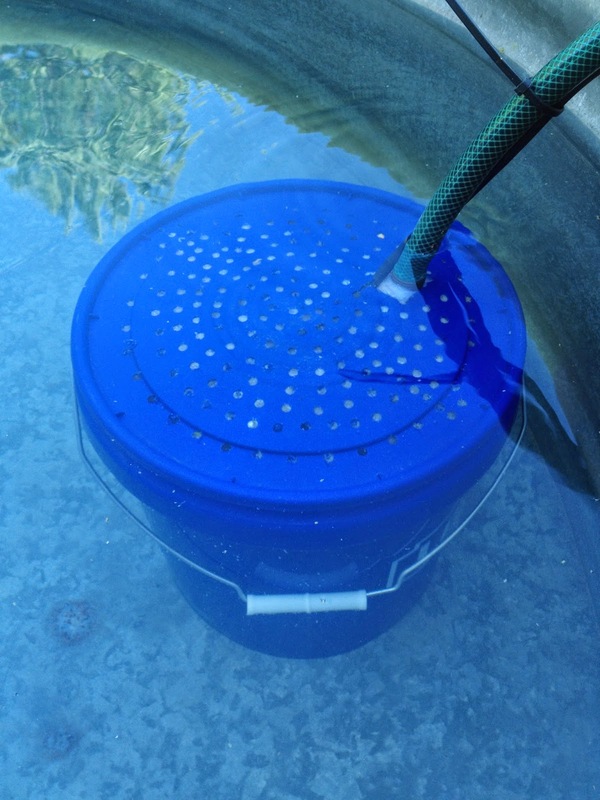 Next I drilled a bunch of holes in the lid of the bucket, and made one big one for the hose and power cord to go through, and submerged the whole thing in the stock tank. 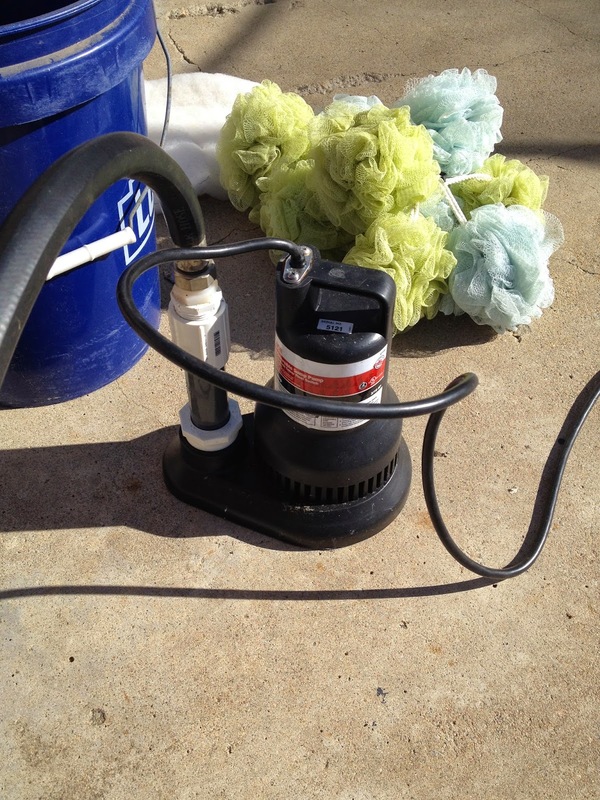 That took care of water going out; it was ejected from the pump to the hose, which I connected to the solar panel laid flat in the yard, in what I figured was the sunniest spot. This, too, was an odd connection. The other end of the solar panel had a decent bit of copper coming out of it, and I had a sharkbite connector that fit the hose (again, from another project. This blog should be called “from a previous project). Coming back to the stock tank, I got a little bit fancy. 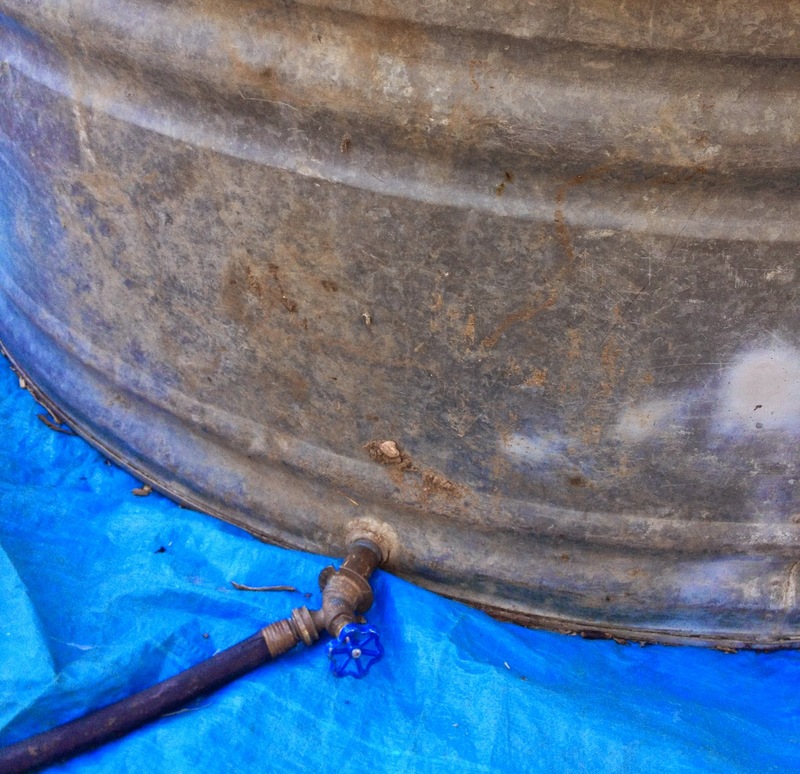 It would’ve been just as good to have the “warmer water” hose coming back just stuck in the tank, but since I already had a spigot for draining the thing, I attached it there. The result was sort of regular-pool-like, in that warmer water would be coming into the tank through the side. Another critical issue I solved on the cheap, that being the fact that the tank’s edges were chewed up and (in places) sharp. Slicing a couple of colorful pool noodles lengthwise down one side, I created a bumper lip that dressed the tank up, even as it made it safer. I was time to hook it all up on a sunny day and see how it worked.